Trevithick wasn't a man with just one idea — he had a continual supply of them. He wanted to harness the power of steam to work all kinds of machinery, and he knew that the advantage of using steam at higher pressures was more power for less fuel. Such engines could also be much smaller than the earlier atmospheric ones, whose power output was related directly to the area of the piston. Manufacturing technology of the period had so far hampered efforts to construct safe high pressure engines. Freed from the strictures of the Boulton & Watt patents, which expired 31st December 1799, he looked at the design of both cylinder and boiler for his new range of engines. He improved efficiency by stopping further steam entering the cylinder part way through an engine stroke, allowing expansion of the steam already in the cylinder to complete the stroke, just as James Watt Snr had done. The first of Trevithick's high pressure engines, a steam whim working expansively at 172kN per sq m (25psi), was begun at Cook's Kitchen mine in 1800. It had a 480mm diameter cylinder with a 1.52m stroke and was still working in 1870. To cope with the higher pressure, he designed a wrought iron cylindrical boiler with internal "tube and fireplace". This soon became known as a 'Cornish boiler' and was much in demand. It is the forerunner of the Lancashire boiler, which has two fire tubes. Between 1800 and 1802, Trevithick erected steam whims at Eastern Stray Park mine, Cook's Kitchen mine and Dolcoath mine. He also built a small engine for grinding corn at Marazion that worked at 207kN per sq m (30psi). Amid this work the Trevithick family increased again with the birth of a daughter, Richard and Jane's third child, Elizabeth Harvey (1802-70). Trevithick's ideas were included in the joint patent with his cousin Andrew Vivian (1759-1842) — and later his brother-in-law William West — No.2599 STEAM ENGINES Improvements in the construction thereof and Application thereof for driving Carriages, granted on 26th March 1802. In August that year Trevithick was experimenting on a small engine at the Coalbrookdale foundry, raising its working pressure from 345kN per sq m to 1,000kN per sq m (50-145 psi). It had a cylinder 180mm in diameter and a stroke of 910mm. The explosion of one of Trevithick's large cast iron boilers, at Greenwich on 8th September 1803, killing four men, damaged his reputation for a time even though it was caused by negligence on the part of the boilerman rather than a boiler fault. Nevertheless, Trevithick introduced an additional safety valve, an early type of fusible plug and a steam gauge on all new boilers. That same year he received a letter from Samuel Homfray (1762-1822), founder of the Penydarren ironworks near Merthyr Tydfil, about installing a high pressure whim engine — see Merthyr Tramroad (Penydarren Tramroad). He constructed one at the works similar to the Coalbrookdale engine. Homfray must have been satisfied because on 2nd May 1803 he acquired a quarter share in the patent for £10,000 and in 1804 increased this to a half share. The first Penydarren whim, or winding engine, had a 200mm diameter cylinder and worked experimentally at 317-331kN per sq m (46-48psi). It was later moved to Swansea. In 1804 a second whim was built with a 380mm diameter cylinder and 1.82m stroke, which worked at Penydarren until 1855. In the same year, Trevithick built six whim engines in Newcastle upon Tyne to wind coal. Meanwhile, in America in around 1804, Oliver Evans (1755-1819) independently developed a high pressure steam engine boiler of similar design to Trevithick's, which was said to produce steam at up to 827kN per sq m (120psi). However, it proved difficult to build with the expertise then available in the USA. 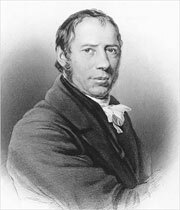 It is alleged that Evans' plans were sent to England and that Trevithick saw them, but it seems unlikely given Trevithick's interest in doing things for himself rather than following others. Early in 1805, a horizontal non-condensing whim engine was begun at Dolcoath mine, where Vivian was then mine captain. At the time Trevithick was travelling around Britain working on other projects and initially unaware of the engine being constructed in his name. In February and March 1806, his high pressure puffer was tried against a Boulton & Watt atmospheric whim engine installed originally at Wheal Maid near Carharrack in 1784. At first the Boulton & Watt engine lifted more ore than the Trevithick's but after he increased the steam pressure and reduced the length of the fire grate, this was reversed. The Trevithick engine lifted four times as much ore for the same amount of coal burned as the Boulton & Watt engine, generating plenty of interest and orders. During 1805, Vivian was short of money and began trying to sell his share of the 1802 patent. By 1807 he had sold it to a nominee of Homfray. By the end of 1808 it seems that Trevithick had also sold his remaining portion to cotton merchants Haynes & Douglas, though the patent was valid until 1816. West retained a part of it to the end, and became Homfray's agent in 1812. Around 1814 John Urpeth Rastrick (1780-1856) patented a similar engine, effectively continuing what Trevithick had started. By the time his fourth child was born — son John Harvey (1806-77) — Trevithick was in London pursuing diverse schemes. After an eventful few years in the capital, he returned to Cornwall and began refining his high pressure engine design, including single-acting engines and the ill-fated 'plunger pole' engine. His return was followed by the birth of fifth child, son Francis (1812-77), who was destined to become his father's biographer in 1872. 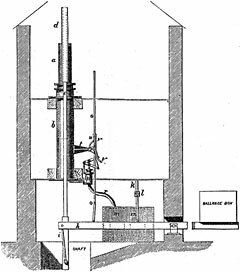 The plunger pole steam engine was developed in 1810-12 and based on Trevithick's 1798 water-powered plunger pump, though it used high pressure steam to move the piston inside a long pole case placed over the mine shaft and did not require a rocking beam. The first one was installed at Wheal Prosper near Gwithian. Work began in 1811 with two boilers capable of working at 690kN per sq m (100psi) and the engine started pumping in spring 1812. At the same mine in the same year, Trevithick further applied his Cornish boiler by using high pressure steam in both expanding and condensing modes, in effect creating the first prototype 'Cornish engine'. By January 1813 he reported that it was achieving "very nearly double the duty that is done by any other engine in the County" — some 40 million. In 1812, Trevithick wrote to Sir John Sinclair (1754-1835) of the Board of Agriculture that, "It is my opinion that every part of agriculture might be performed by steam, carrying manure for land, ploughing, harrowing, sowing, reaping, thrashing, grinding, and all by the same machine, however large the estate". He introduced an engine of open-topped cylinder design, and many were used for agricultural purposes. The earliest of these was built for the Trewithen estate of Sir Christopher Hawkins (1758-1829) at Probus, where it drove a rotative threshing machine. The engine was used with great success from 1812 to 1879 when it was moved to Kilburn, and is now at the Science Museum in London. Lord de Dunstanville ordered a similar engine for Tehidy in December 1812. The following year Trevithick installed Cornish boilers working at 1,034kN per sq m (150psi) at Herland mine. In 1815 a high pressure plunger pole engine was built there and began pumping in February 1816, replacing engines built by Arthur Woolf (1766-1837). It achieved a duty of 48 million at pressures of up to 827kN per sq m (120psi). Trevithick patented a range of inventions that included the plunger pole steam engine, the reaction turbine or aeolipile and the screw propeller. Patent No.3922 was granted on 6th June and was augmented with a more detailed specification on 20th November 1815. On 19th October 1816 Trevithick sold half his patent rights in the pole engine to William Sims (1762-1834) for £200. Working with Sims, Trevithick added a pole case and high pressure boilers to some Boulton & Watt engines. Together they compounded engines at Wheal Chance and Treskerby mine, while Sims alone compounded engines at United mines and Wheal Damsel, all resulting in greatly increased duty. By 28th June 1816 there were 11 plunger pole engines working or being built and Trevithick's reputation and fortunes seemed secure. Though effective when new, the plunger pole engine couldn't maintain performance in the long term. The large surface area of pole exposed on each stroke caused it to cool, and the middle wore more than the ends. Steam leaked out and as the pole wore down so the duty declined. Orders began to fall off or were cancelled but by then Trevithick was not in Cornwall to realise that his nest egg was broken. Despite this setback, it was said that the improvements in efficiency brought by using high pressure steam and cylindrical boilers saved the Cornish mines almost £91,000 a year. "To the use of high-pressure steam, in conjunction with the cylindrical boiler, also invented by Mr. Trevithick, I have no hesitation in saying that the greatly increased duty of our Cornish pumping-engines since the time of Watt is mainly owing; and when it is recollected that the working power now attained amounts to double or treble that of the old Boulton and Watt engine, it will be at once seen that it is impossible to overestimate the benefit conferred, either directly or indirectly, by the late Mr. Trevithick on the mines of this county. The cylindrical boiler above referred to effected a saving of at least one-third in the quantity of coal previously required ... "
Trevithick's stationary high-pressure expansive steam condensing whim-engine, erected at Cook's Kitchen mine in 1800. It worked at 172kN per sq m (35psi), had a 480mm diameter cylinder and a 1.52m stroke — and it was still working in 1870. The cylindrical boiler Trevithick designed for this engine soon became known as a 'Cornish boiler'. 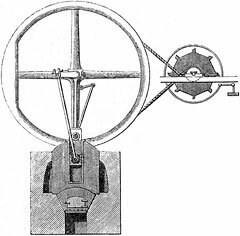 Trevithick's high-pressure steam-puffer thrashing engine of 1812. It's cylinder is open-topped, and name 'puffer' was given to it because of the noise of the steam escaping. Many of these engines were used for agricultural purposes. Trevithick's high-pressure expansive steam condensing pole-engine, as erected at Wheal Prosper mine in 1811-12. The plunger pole steam engine is based on the water-powered plunger pump developed by Trevithick in 1798. It uses high pressure steam to move the piston inside its long pole case. At Wheal Prosper, the two boilers used for it were capable of working at 690kN per sq m (100psi).